THE STORY - This woman-directed documentary about the dismal number of women directors working in Hollywood uses the current EEOC investigation into discriminatory hiring practices as a framework to talk to successful women directors about their career paths, their struggles, their inspiration, and their hopes for the future. THE BAD - Uses a simple and frank style and this combined with its difficult subject matter may be offputting for some viewers. ​​​Women filmmakers make up less than 10 percent of the people who have the opportunity to direct a film each year. Out of the 455 directors who have been nominated for an Academy Award, only 5 women have been among their ranks with a single soul, Kathryn Bigelow, actually taking home the Oscar. With the #MetToo and #TimesUp movements, general society became aware of the realities of being a woman in Hollywood, but the specifics of women’s experiences have been largely hidden. The new documentary “Half The Picture” reverses the lens of the camera and gives many women directors the opportunity to speak their truth in a safe environment and allows those of us on the outside a brief glimpse into the difficulties of filmmaking while female. “Half The Picture” is a made up of interviews with some of the most well-known female directors of the past 30 years and it also happens to be a searing examination of these women’s experiences while making their films. From independent movies to big-budget pictures, the women who are interviewed have seen all kinds of success as well as discrimination. 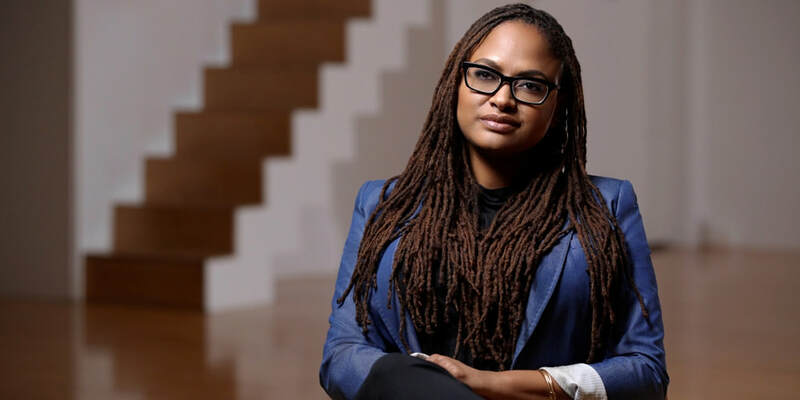 What is truly on display with these interviews is the reality that women filmmakers go through whether they are Ava DuVernay or Maggie Greenwald and over time it becomes apparent just how similar their experiences are regardless of how ‘successful’ they are considered to be. None of their stories are exactly alike, but each woman’s experiences are similar enough that the commonalities become apparent, even to those outside the industry. While “Half The Picture” delves deeply into the personal, it also explores the data that has recently been made public. In 2015 the American Civil Liberties Union requested that the EEOC, the Equal Employment Opportunity Commission, which is charged by the government with ensuring fair treatment in the workplace, investigate whether or not women were being given a fair chance at directing films. 2 years later after thorough investigation, the EEOC entered settlement negotiations with all the major studios after they determined that there was systemic discrimination being perpetrated. “Half The Picture” provides a fair look at the case and sheds light on why such a determination was made. Although “Half The Picture” takes a very simple approach to its storytelling, the messages it sends are much deeper than is apparent at first glance. It drops the glossy front so often presented by documentaries and uses subtle camera techniques and editing to show the crew as well as the interviewees, making the film all the more visceral and affecting. With a group of interview subjects that crosses genre, race, age, parenting status and almost every other demographic, director Amy Adrion provides a wide-ranging picture of what it is like to be a filmmaker and a woman. She also includes perspectives from outside the director’s seat with journalists, film critics, and academics who provide a more nuanced look at how important it is to have a variety people behind the camera who can influence viewers with their stories. It almost goes without saying that “Half The Picture” is an important documentary, not only because it is incredibly topical, but also because it provides an unflinching look into a situation that has been overlooked for far too long. At the same time, it manages to be a film with heart and honesty that allows the women at the center of it to be vulnerable and realistic about their own experiences. Thankfully it never devolves into political preaching, instead, its down-to-earth sensibilities tell an uncomfortable story that is all too easy to accept for its simplicity. There are no outrageous revelations or shocking developments beyond the data collected by the ACLU and the EEOC, the truly damning aspect of “Half The Picture” is just how mundane and predictable the pervasive attitudes and effects of sexism have turned out to be.